Your audience's expectations for their live multiscreen viewing experiences are higher than ever before. Look Better. Reach Further. Adapt Faster. Our new StreamZ Live 4000EX advanced multiscreen encoder enables you to exceed them, combining our proven quality, flexibility and reliability with advanced features for applications from linear OTT channels to high-profile live event streaming. Impress your audience with superior visual quality. 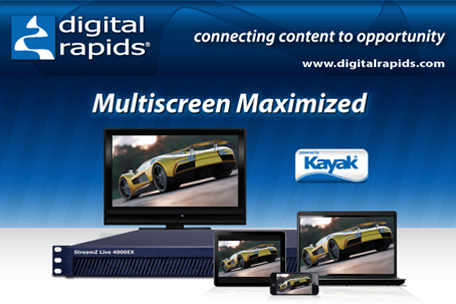 Maximize your reach with rich adaptive streaming format support. Adapt easily with software-based upgradeability for new formats, technologies and features. Take control with independent management of each active output.